Bringing your pup to puppy training classes is proven to give you... • Increased sociability towards people and other dogs • More control over your pup's behaviour • Knowledge of how to handle your pup now and in the future • A sound investment of a couple of hours now for the many years to come! We offer puppy training from five locations servicing Krugersdorp, Roodepoort, Randburg, Sandton, Centurion and Pretoria... Helping puppy owners since 1999 - our puppy socialisation and training classes are designed to give you real value and enjoyment. SOCIALISATION Puppy school provides the perfect opportunity for puppies to polish their canine communication skills, which are interrupted when they leave their mother and littermates. Puppies also get socialised to children and different types of people. This is one of the most valuable lessons you can teach your new puppy All types of puppies (pedigreed and crossbreeds) should enrol in a recognised puppy school. Family pets, show dogs and working dogs in particular benefit as the training stands them in good stead for their future "career", be it family guardian, show stopper or lovable mutt! 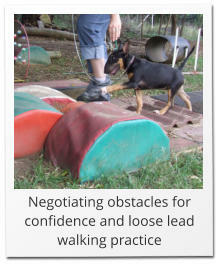 REWARDS-BASED OBEDIENCE Owners are taught how to get their puppy obeying simple commands such as: sit, down, stay and heel. All puppy training commands are taught with hand signals from Day One, which is particularly useful for domestic purposes. As this training is rewards-based, the puppies do it because they want to - NOT because they are avoiding punishment. This type of training conditions the dog to LOVE TO LISTEN and is much more pleasant and effective for the puppy and the owner! SENSORY STIMULATION & BODY AWARENESS Lots of fun obstacles and exposure to various items helps develop your pup’s confidence and compatibility in a typical household. ABOUT THE PUPPY COURSE The course runs for two months, with six one-hour lessons. Puppies can start at 8 - 10 weeks of age. They should have had the second of their three puppy inoculations and must be suitably protected against ticks and fleas. Exact times vary according to the season and class location. Please consult the Branch Section below for details. METHODS & CLASS STRUCTURE We use scientifically proven methods, which are kind to your puppy, very easy to use and incredibly effective. The whole family is invited to attend training, so that everybody can learn how best to handle and train your pup (children under 12 require adult supervision). Our pup to instructor ratio is a maximum of six, ensuring that you receive individual assistance if required. Bringing your pup to puppy training classes is proven to give you... • Increased sociability towards people and other dogs • More control over your pup's behaviour • Knowledge of how to handle your pup now and in the future • A sound investment of a couple of hours now for the many years to come! We offer puppy training from five locations servicing Krugersdorp, Roodepoort, Randburg, Sandton, Centurion and Pretoria... Helping puppy owners since 1999 - our puppy socialisation and training classes are designed to give you real value and enjoyment. SOCIALISATION Puppy school provides the perfect opportunity for puppies to polish their canine communication skills, which are interrupted when they leave their mother and littermates. Puppies also get socialised to children and different types of people. 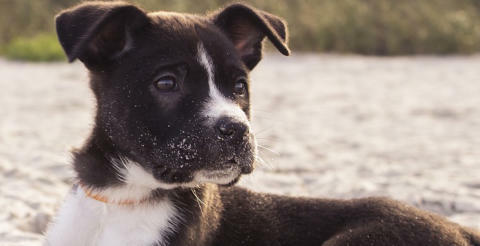 This is one of the most valuable lessons you can teach your new puppy All types of puppies (pedigreed and crossbreeds) should enrol in a recognised puppy school. Family pets, show dogs and working dogs in particular benefit as the training stands them in good stead for their future "career", be it family guardian, show stopper or lovable mutt! REWARDS-BASED OBEDIENCE Owners are taught how to get their puppy obeying simple commands such as: sit, down, stay and heel. All puppy training commands are taught with hand signals from Day One, which is particularly useful for domestic purposes. As this training is rewards-based, the puppies do it because they want to - NOT because they are avoiding punishment. This type of training conditions the dog to LOVE TO LISTEN and is much more pleasant and effective for the puppy and the owner! PUPPY PROBLEMS By using the canine behaviour techniques that we show you, handlers achieve their objectives of getting their puppy to understand their requirements. We cover all of the "usual" puppy problems, such as: • Nipping • Chewing • Digging • Jumping Up • Lead Pulling • Boisterous Behaviour • Toilet training SENSORY STIMULATION & BODY AWARENESS Lots of fun obstacles and exposure to various items helps develop your pup’s confidence and compatibility in a typical household. ABOUT THE PUPPY COURSE The course runs for two months, with six one-hour lessons. Puppies can start at 8 - 10 weeks of age. They should have had the second of their three puppy inoculations and must be suitably protected against ticks and fleas. Exact times vary according to the season and class location. Please consult the Branch Section below for details. TRAINING METHODS & CLASS STRUCTURE We use scientifically proven methods, which are kind to your puppy, very easy to use and incredibly effective. The whole family is invited to attend training, so that everybody can learn how best to handle and train your pup (children under 12 require adult supervision). Our pup to instructor ratio is a maximum of six, ensuring that you receive individual assistance if required.